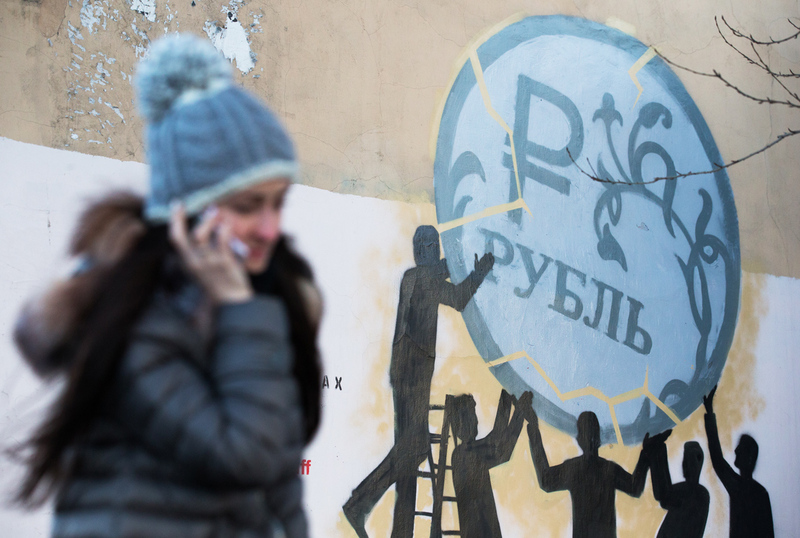 Graffiti in support of the rouble on Borovaya Street in St Petersburg. The international rating agency Standard & Poor's (S&P) has raised the outlook for Russia's sovereign credit rating to "positive" from "stable", confirming its long-term foreign currency credit rating at "BB +", according to the agency’s press release. "The revision of the outlook reflects our expectation that GDP growth will return to positive territory and that the Russian economy will continue to adapt to the relatively low oil price environment, while maintaining its strong net external asset position and comparatively low net general government debt over 2017-2020. External pressures appear to have abated significantly over the last 12-18 months," the agency said. S&P expects GDP growth in Russia will pick up, averaging about 1.7 percent in 2017-2020, and it sees a lower risk of large capital outflows, therefore moderating external pressures. "We assume that the current sanctions against Russia, which were imposed in 2014 by the EU and the U.S. (and some other countries including Japan) in response to Russia's role in Eastern Ukraine and Crimea, will remain in place," the agency said. According to the agency’s forecast, inflation in Russia in 2017 will be 4.5 percent, and in 2018-2020, the price growth will be at the level of 4 percent per year. The S&P report also indicates that the outflow of investment from Russia between 2017 and 2020 will be 1 percent annually and the budget deficit will decrease to 2.4 percent of GDP by 2019.